Since the release of the earth-shattering ARD documentary two years ago, the athletics world has been in a permanent turmoil. The International Athletics Association Federation (IAAF) is faced with both a never-ending corruption scandal (playing out in front of the French police authorities) and the related systematic doping of Russian athletes. The situation escalated in different phases led by the revelations of Russian insiders. First, in December 2014 with the ARD documentary, which demonstrated how widespread (and organized) the recourse to doping was in Russian athletics. It triggered the Pound investigation financed by the World Anti-Doping Agency (WADA), which led to two damaging reports (available here and here) for the Russian anti-doping system and the IAAF itself. Thereafter, in November 2015, the IAAF had no other choice but to provisionally suspend the Russian athletics federation (ARAF then RusAF) and its members from IAAF competitions. Yet, this was only the beginning as shortly after the former head of Moscow’s anti-doping laboratory provided a detailed sketch to the New York Times of the operation of a general state-led doping scheme in Russia. The system was designed to avert any positive doping tests for top-level Russian sportspeople and was going way beyond athletics. These allegations were later largely confirmed and reinforced by the McLaren investigation initiated by WADA in May 2016, and which published its first report in July 2016 shortly before the Rio Olympics. In June 2016, the IAAF anticipated the conclusions of the report (it had received most of McLaren’s evidence beforehand) and decided to maintain the ineligibility of Russian athletes for IAAF competitions, and for the Rio Olympics. It did, however, foresee a narrow exception for Russian athletes able to show that they were properly tested outside of Russia. Nonetheless, the athletes using this exception were to compete under a neutral flag at the Olympics. Unsurprisingly, Russian athletes led by pole superstar (and now IOC member), Yelena Isinbayeva, and the Russian Olympic Committee decided to challenge this decision in front of the Court of Arbitration for Sport (CAS). Interestingly, while the decision was rendered on 21 July 2016, the full text of the award was publically released only on 10 October 2016. In September, I analysed the Rio CAS Ad Hoc Decisions involving Russian athletes aiming to participate to the Olympics. I will now turn to the IAAF decision, which is of great importance to the future of the anti-doping system. Indeed, it lays out the fundamental legal boundaries of the capacity of international federations to impose sanctions on their members (and their members) in order to support the world anti-doping fight. My blog will provide first a chronological narrative of the decisions taken by the IAAF to sanction the RusAF and its athletes. Thereafter, I will analyse the key aspects of the scope of the review of the IAAF’s ineligibility decision by the CAS. The IAAF started acting upon the suspicions of doping in Russian athletics only after the publication of the first part of the Pound report on 9 November 2015. In its first press release after the publication of the report, the president of the IAAF, Sebastian Coe, announced that he had “taken the urgent step of seeking approval from his fellow IAAF Council Members to consider sanctions against the Russian Athletics Federation (ARAF)”. He was considering “provisional and full suspension and the removal of future IAAF events”. This announcement was quickly followed on 13 November 2015 with the provisional suspension of the ARAF by the Council of the IAAF. Consequently, Russian athletes, and athlete support personnel were banned from competing in international competitions including World Athletics Series competitions and the Olympic Games. Furthermore, Russia lost the right to host the 2016 World Race Walking Team Championships (Cheboksary) and 2016 World Junior Championships (Kazan), while ARAF were to delegate the conduct of all outstanding doping cases to CAS. The provisory ban was based on IAAF Constitution Article 6.11(b) and Article 14.7. The ARAF could have challenged the decision of the Council but declined to do so (as is explained in a letter accessible here) and accepted the sanctions. Simultaneously, the decision also included a specific procedure for RusAF to regain IAAF membership. It foresaw that an inspection team led by an Independent Chair, Rune Andersen, would verify whether RusAF complies with a long list of precise criteria. The deep-seated culture of tolerance (or worse) for doping that led to RusAF being suspended in the first place appears not to have changed materially to date. A strong and effective anti-doping infrastructure capable of detecting and deterring doping has still not been created. There are detailed allegations, which are already partly substantiated, that the Russian authorities, far from supporting the anti-doping effort, have in fact orchestrated systematic doping and the covering up of adverse analytical findings. This meant “that Russian athletes remain[ed] ineligible under IAAF Rules to compete in International Competitions including the European Championships and the Rio 2016 Olympic Games”. The taskforce also recommended that RusAF remains suspended, i.e. that no “representatives of RusAF (i.e. officials, athlete support personnel, etc.) should take part in International Competition or in the affairs of the IAAF”. The IAAF Council unanimously endorsed the recommendations. At the same meeting, and also upon recommendation of the taskforce, the IAAF Council passed a rule amendment “to the effect that if there are any individual athletes who can clearly and convincingly show that they are not tainted by the Russian system because they have been outside the country, and subject to other, effective anti-doping systems, including effective drug-testing, then they should be able to apply for permission to compete in International Competitions, not for Russia but as a neutral athlete”. These changes were introduced in Rule 22.1A IAAF Competition Rules (Rule 22.1A). Finally, the IAAF also decided to let Yuliya Stepanova compete due to her “extraordinary contribution to the fight against doping in sport”. On 23 June, the IAAF published a set of guidelines on the basis of which Russian athletes could request a permission to compete in IAAF events (and the Olympics) if they could demonstrate not being tainted by the Russian state doping system as provided under the exception enshrined in Rule 22.1A. However, athletes using this exception would be allowed to compete only as neutral athlete. Stepanova was the first athlete authorized to compete at the Rio Games by the IAAF (ironically, she would later be blocked by the IOC) based on the rule 22.1A. She was joined only by Darya Klishina (the IAAF later rescinded this eligibility in light of her involvement in the McLaren Report, but the CAS decided against all odds to let her compete in Rio). The IAAF felt comforted in its decisions by the release of the McLaren Report on 18 July. Yet, the Russian athletes and the Russian Olympic Committee were obviously extremely dissatisfied with this outcome. Both sides agreed to submit the matter, through the ordinary arbitral procedure, to the CAS, which held a quick hearing on 19 July. Does the suspension of the RusAF extend to the eligibility of the Russian athletes? Is the new IAAF rule 22.1.A a sanction? Can the ROC nominate athletes to the Olympic Games without the assent of the IAAF? Will the Russian athletes falling under rule 22.1.A compete as neutral athletes in Rio? 1. Does the suspension of the RusAF under Rule 22.1(a) extend to the eligibility of the Russian athletes? The Russian athletes challenged first the application by IAAF of Rule 22.1(a) IAAF Competition rules. The Rule provides for the IAAF-wide ineligibility of “[a]ny athlete, athlete support personnel or other person whose National Federation is currently suspended by the IAAF”. In other words, the claimants “want an exception to the rule for doping cases, so that the ineligibility for the athletes affiliated to a suspended national federation, a member of the IAAF, would not apply if the suspension is imposed for the federation’s failure to ensure an effective doping control system”. The Panel rejects this challenge. 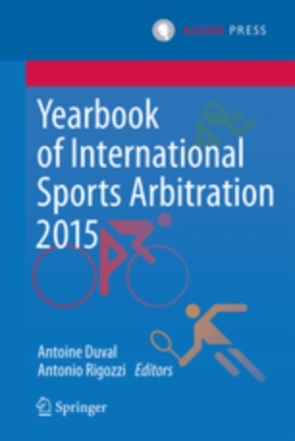 First, it considers that it is not its duty to rewrite the IAAF’s rules. Instead, the “rule- making power, and the balance to be struck in its exercise between the competing interests involved, is conferred on the competent bodies of the sport entity, which shall exercise it taking into account also the overall legislative framework”. Second, it highlights “that the suspension of the Russian track and field federation is not disputed in this arbitration”. This is due to the fact that ARAF did not contest the original decision of IAAF in November 2015. Consequently, “the dispute heard by the Panel regards only the consequences for the athletes affiliated to the Russian federation of the suspension imposed on their federation and not the reasons for the suspension”. The Panel also rejects the argument that Rule 22.1(a) would be contrary to the World Anti-Doping Code (WADC). First, because it is not an additional doping sanction (and therefore is not covered by the Osaka rule jurisprudence of the CAS) and second because it is consistent with the WADC’s mandate to international federations to introduce sanctions in case their members do not comply with the Code. Furthermore, “it is a fundamental principle of the law of associations in all applicable jurisdictions that members of associations have an obligation to satisfy the requirements for membership in the association and if they fail to do so those members may have their association membership adversely affected”. The Panel refuses to “disturb these well-accepted principles” . The Panel further refused to find that the IAAF was estopped from considering the Russian athletes ineligible based on Rule 22.1(a). It is true that some IAAF employees/executives might have been involved in a corruption scheme to cover-up doping cases, however “[t]here is no suggestion that the IAAF officials were involved in the systemic doping of Russian athletes” . Moreover, “none of the Claimant Athletes has argued that they knew about the IAAF’s wrongdoing and relied on it to their detriment, or that they believed that RusAF would not be suspended in the event of misconduct” . The arbitrators also deny that the Rule 22.1(a) was too uncertain. In particular, the fact that the length of the ineligibility is indeterminate is deemed a “simple consequence of the fact that it is contingent on the National Federation (“NF”) being reinstated”. 2. Is IAAF Competition Rule 22.1A valid and enforceable in the circumstances of the present dispute? The Claimants were also challenging the validity of Rule 22.1A, as they were constructing the rule as an unforeseeable sanction against athletes who would not comply with the requirements enshrined in it. Yet, the Panel wondered from the outset “what interest the Claimants would have in seeing it set aside, given that it is a rule which allows athletes to be included, not excluded”. Indeed, if the Panel “struck down Rule 22.1A, the only consequence for the Claimants would be that any athlete who made him/herself eligible pursuant to Rule 22.1A would still be ineligible: the Claimant Athletes, on the other hand, would not regain the eligibility denied by Rule 22.1(a)”. The Claimants argued that both rules were intimately connected and amounted to one sanction: if one would be deemed invalid the other would fall too. However, the Panel noted in response to this argument “that (i) the legality of Rule 22.1(a) and its applicability in the present circumstances has already been confirmed, as per the considerations above, [and] (ii) the Claimants’ submissions as to the legality of Rule 22.1A have no merit […]”. Thus, the Panel finds Rule 22.1.A not to be inconsistent with the WADC as it does not constitute a sanction. Similarly, not being a sanction its proportionality is not into doubt, nor does it appear to be discriminatory. The Claimant Athletes could not rely on any legitimate expectations to be eligible if they met the Verification Criteria published on 11 December 2015, as “they would have also known that RusAF would have to be reinstated before they became eligible”. 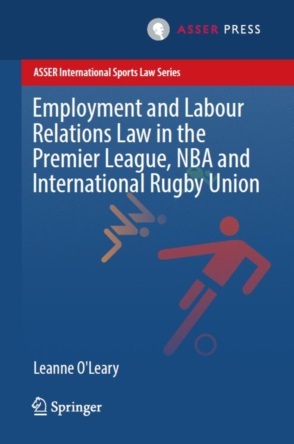 Indeed, “Rule 22.1A did not change the way in which the Claimant Athletes could make themselves eligible”, rather “it provided another route to eligibility, one which could be pursued even though RusAF had not been reinstated in accordance with the Reinstatement Conditions”. 3. Can the ROC nominate athletes to the Olympic Games without the assent of the IAAF? The third question raised by the Claimants was whether the Russian Olympic Committee could bypass the IAAF’s decision and nominate athletes without its approval to participate in the Rio Olympics. Here again the Panel from the outsets finds “that, under the Olympic Charter, the ROC is not entitled to nominate athletes who are not eligible under IAAF Competition Rules 22.1(a) and 22.1A”. To come to this conclusion the Panel focuses on the Olympic Charter, it notes that “Rule 40 of the Olympic Charter restricts participation in the Olympic Games to those who comply with the Olympic Charter and the WADC, including the conditions of participation established by the IOC, “as well as the rules of the relevant IF as approved by the IOC””. It interprets the latter sentence as implying “mandatory compliance with IF rules”. Furthermore, the Panel finds that “the Olympic Charter makes it clear that an NOC shall only enter competitors upon the recommendations for entries given by national federations (Rule 44.4), and that as a condition precedent to participation in the Olympic Games every competitor has to comply not only with the provisions of the Olympic Charter, but also with “the rules of the IF governing his sport” (Bye-law 4 to Rule 44)”. It concluded that “the NOCs can only exercise their right to send personnel to the Olympic Games if they comply with the rules of the relevant International Federation (“IF”) because otherwise they would be contravening Rule 40 of the Olympic Charter”. Consequently, “ROC cannot enter into the 2016 Olympic Games athletes who do not comply with the IAAF’s rules, including those athletes who are not eligible under Competition Rules 22.1(a) and 22.1A.”  Even in the unlikely event RusAF is deemed not to exist anymore for the purpose of the application of the Olympic Charter, and Bye-law 5 to Rule 44 of the Olympic Charter is deemed applicable, “the ROC would need the IAAF’s, and IOC Executive Board’s, approval to send competitors”. Therefore, with or without RusAF, “the ROC cannot enter athletes who are ineligible pursuant to the IAAF’s rules”. 4. Will the Russian athletes enjoying the exception enshrined in Rule 22.1A compete as neutral athletes? Finally, the last interrogation posed by the claimants is whether Russian athletes regaining eligibility through Rule 22.1.A can compete as representatives of Russia. It is the only point on which the claimants are found by the Panel to prevail. Indeed, it finds “that, under the Olympic Charter, if there are any Russian track and field athletes who are eligible to compete at the 2016 Olympic Games under IAAF Competition Rule 22.1A, the ROC is entitled to enter them to compete as representatives of Russia”. In its view, “under the Olympic Charter it is not for an IF to determine whether an athlete, eligible for entry to the Olympic Games, has to compete as a “neutral” athlete, or as an athlete representing the NOC that entered him or her” . In other words, “athletes which are sent to the Olympic Games are not entered as neutrals, but are sent by an NOC” . Moreover, “an athlete does not represent his/her national federation; the federation’s suspension does not prevent an athlete from being entered into the Olympic Games as a representative of his/her NOC” . The Panel does recognize, however, that the fact “that the ROC is entitled, under the Olympic Charter, to enter into the Olympic Games as representatives of Russia any Russian track and field athletes who are eligible to compete under IAAF Competition Rule 22.1A does not mean that the IOC is bound to accept such designation as athletes representing Russia” . In sum, it was not IAAF’s job to declare the athletes neutral but the IOC’s and it declined to do so. The IAAF has faced a hurricane of negative news in the last two years. Its former president, Lamine Diack, is under investigation in France on corruption charges, its internal anti-doping activities have been shown to be at best inefficient and at worse corrupted, and Russia, one of its biggest suppliers of talents and legends, is exposed as engaged in a State sponsored doping programme. The least one can say is that cleaning these ‘Augean Stables’ was, and still is, an awful task. However, unlike the IOC, which has shown little willingness to seriously crack down on Russia after the scandal, the IAAF has adopted a tough line. It sidelined Russia’s athletics federation as soon as the suspicions voiced by whistle-blowers were substantiated. Furthermore, it refused to let Russian athletes participate in the Rio Olympics, thus reinforcing the anti-doping fight with a symbolically important sanction. Indeed, the world anti-doping system will remain a paper tiger if Russia’s systematic breach of anti-doping rules and spirit is not followed by truly deterrent sanctions. Surely, the system as a whole deserves a comprehensive reform addressing the massive deficiencies highlighted by the Russian scandal. First, the athlete’s eligibility to international sporting competitions cannot be severed from the status of his or her national federation. In other words, the athletes, as members of a national federation, bear part of the responsibility for a federation’s failure to comply with, for example, its duties under the WADC. This does not preclude the introduction of mechanisms that, as the one introduced by the IAAF, would enable athletes to discharge this responsibility in specific situations. Second, international federations can impose painful sanctions upon their affiliates in case of noncompliance with their duties under the WADC. The CAS recognized that in order to function properly the WADC needs to be supported at the local level, and to be supported at the local level noncompliance must be met with deterrent sanctions that will necessarily extend to the athletes affiliated with the noncompliant local body. Again, the athletes are not passive members of a national federation. They bear a share of the political (and in the end legal responsibility) attached to its governance. Third, and finally, the CAS has demonstrated that there was no fatality in taking a lenient road to deal with the Russian State doping scandal. The Panel even left open the possibility for the IOC to decide that Russian athletes would have to compete under a neutral flag. This is a good reminder that the IOC’s decisions to let the Russians compete at the Rio Olympics, and thus dilute the negative effects of being caught organizing a comprehensive State doping system (as was very recently evidenced by the second McLaren Report) was not a legally mandated decision but a political choice that deserves critical scrutiny. The precedent force of this award is even greater in the light of its endorsement by the Swiss Federal Tribunal, which rejected in early August the Claimants request for provisory measures against it. (c) that the athlete has made a truly exceptional contribution to the protection and promotion of clean athletes, fair play, and the integrity and authenticity of the sport. The more important the International Competition in question, the more corroborating evidence the athlete must provide in order to be granted special eligibility under this Rule 22.1A. Where such eligibility is granted, the athlete shall not represent the suspended National Federation in the International Competition(s) in question, but rather shall compete in an individual capacity, as a 'Neutral Athlete'. See CAS 2011/O/2422 United States Olympic Committee (USOC) v. International Olympic Committee (IOC), 4 October 2011.